This weekend has been absolute gluttony. Not like Se7en type gluttony but pretty darn close. The lion celebrated his third birthday so it’s been a crazy weekend of party type food, eating out at restaurants and a few froyo trips. 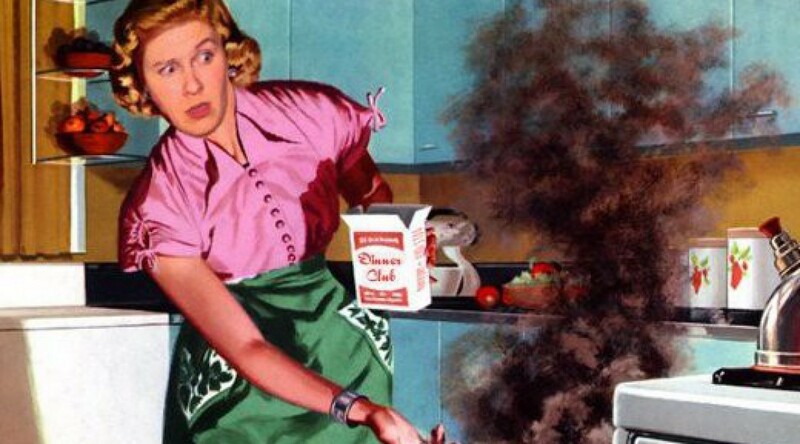 After I ate my second cupcake yesterday, I knew it was time to buckle down and get ready to make some home cooked meals and up to salad quotient this week for lunch. Let’s start with the Celery Seed Dressing Shall we?? 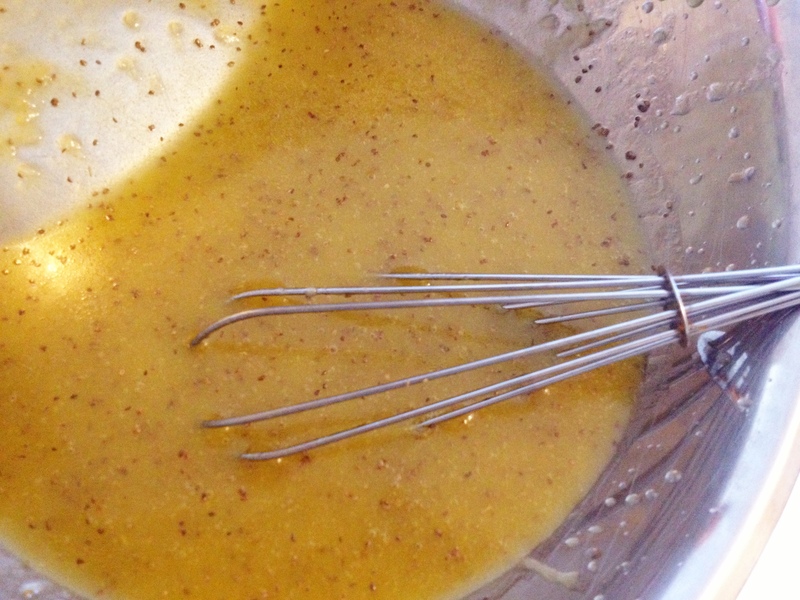 This one is super easy and it’s a whisk in a bowl kinda dressing. I love it because it’s tart and sweet and goes really well with fall flavours. It’s also amazing over spinach. 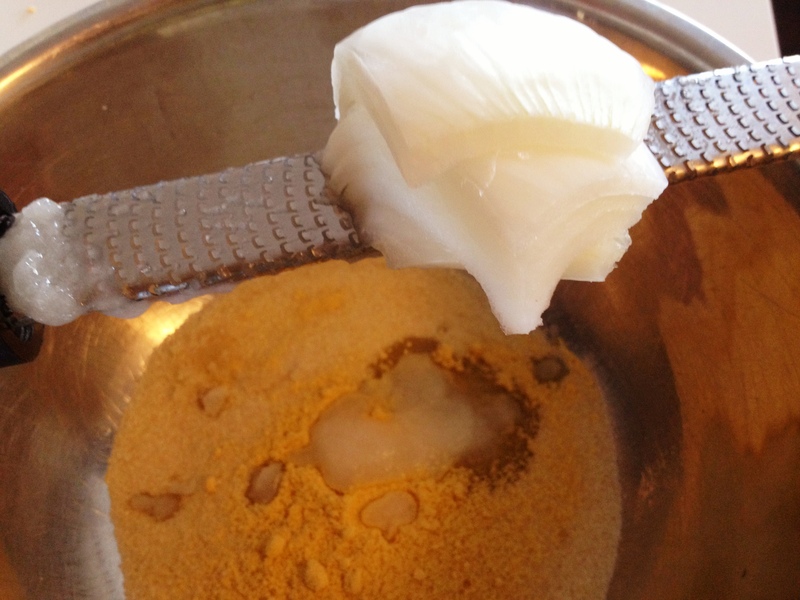 First you combine your sugar, salt, mustard powder , onion powder and grated onion. Dry ingredients and then use a microplane (or a grater if you don’t have one) and grate your onion right in to the bowl. The grated onion almost looks like a white frothy foam. I used a microplane to grate it. The onion will look like a white frothy foam and this is good (that way you don’t get big chunks of onion in it). See…here’s what the onion froth looks like. Next add in your cider vinegar and your oil and whisk like a mad man. 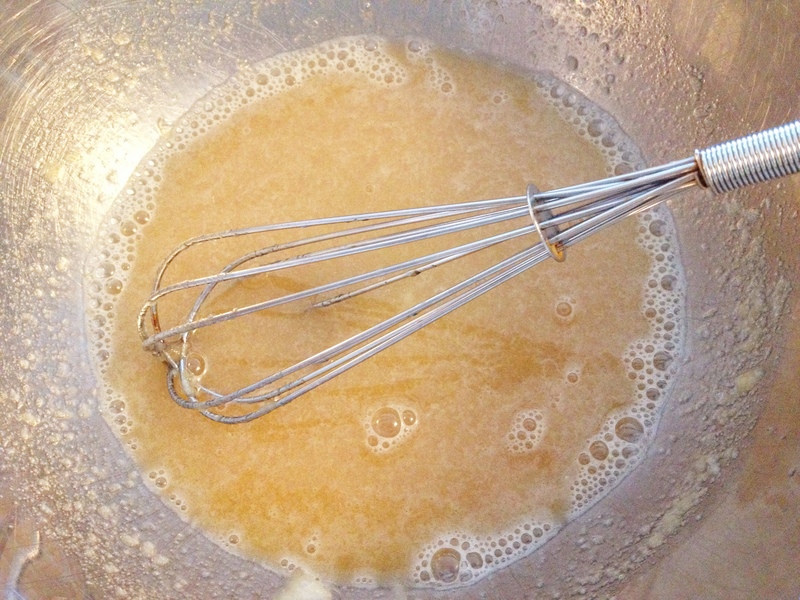 Whisk until it’s emulsified and it gets a bit thicker. 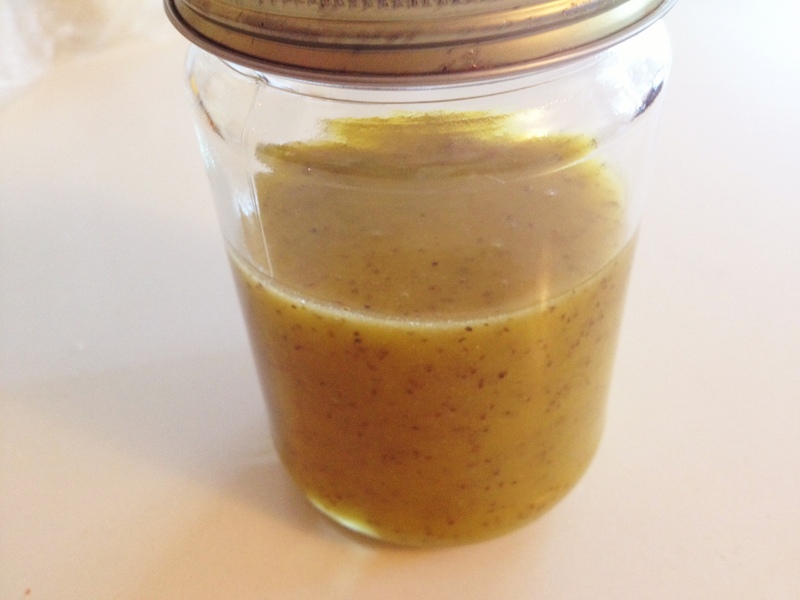 Pour that gorgeous dressing in a jar and place it in your fridge till you are ready to use it. Add your celery seed and stir. 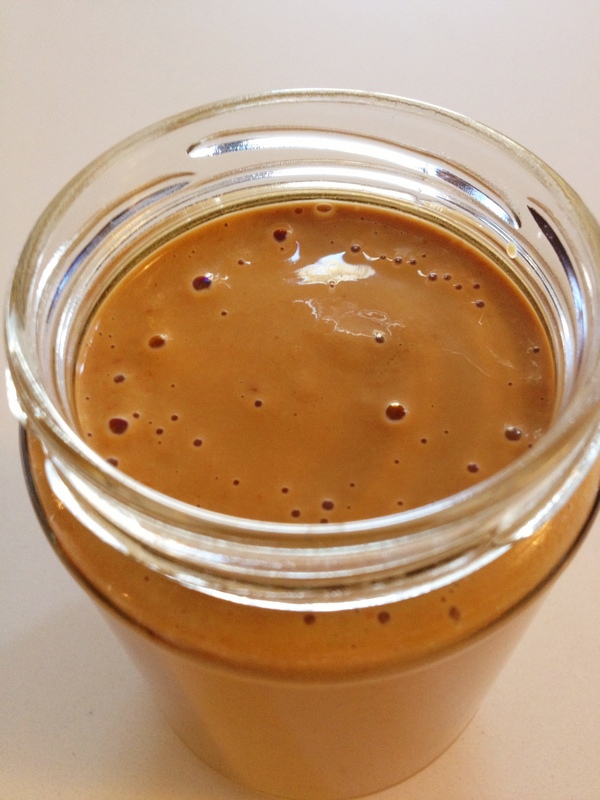 Place in a jar and put in your fridge until ready to use. *It should keep in your fridge for a week. Okay so because my hubs fam jam is from Woodstock, I am obsessed with hippies and I like salads, I decided I should figure out how to make this dressing. It seems fitting that I can recreate my own version of the woodstock dressing! I had all of these ingredients in the pantry so I was ready to do this. This is the kinda dressing you want to make in a blender because you want to whip everything together to mix it up good and no amount of whisking will really give you what you need for this dressing. 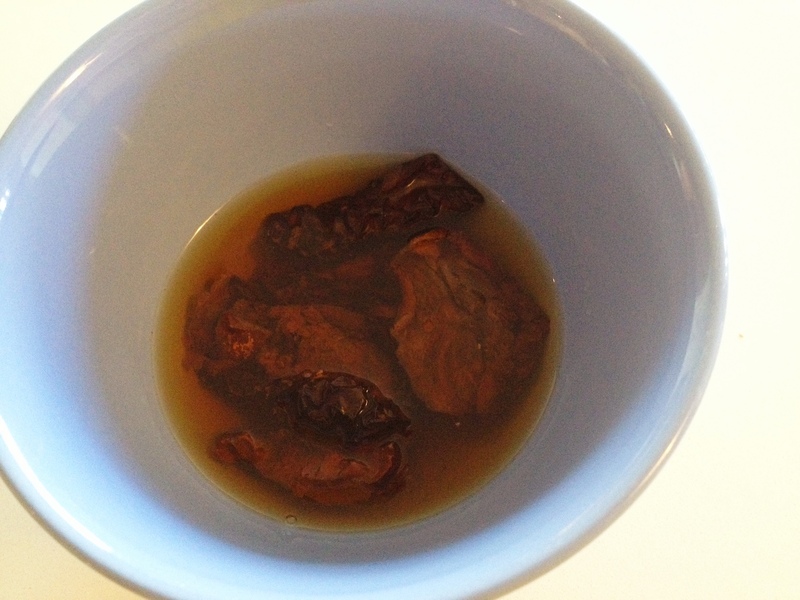 First you are going to put 5 sundried tomatoes (not the ones packed in oil) in to 1/3 of a cup of warm water. Let them sit for a few minutes while you get your other stuff ready, this will give them time to soften up. Next, take all of your ingredients: tomatoes with the water, oil, cider vinegar, soy sauce, Nutritional yeast, Tahini and garlic and place in your blender and whizz it up!! It’s that simple people!! I use one of those magic bullet type of blenders and this one turns out awesome. 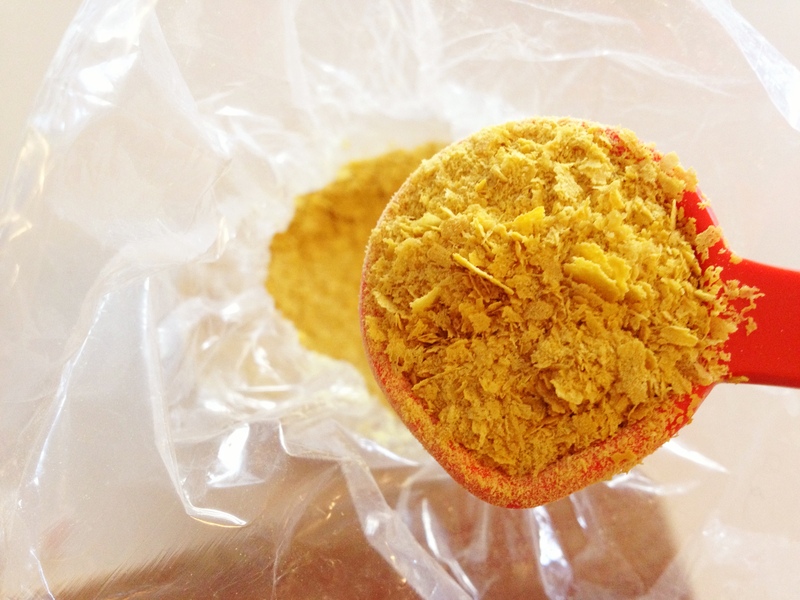 Before I show you pics of the finished product, you might be wondering what the heck nutritional yeast is, so let’s talk about it for a minute kay? 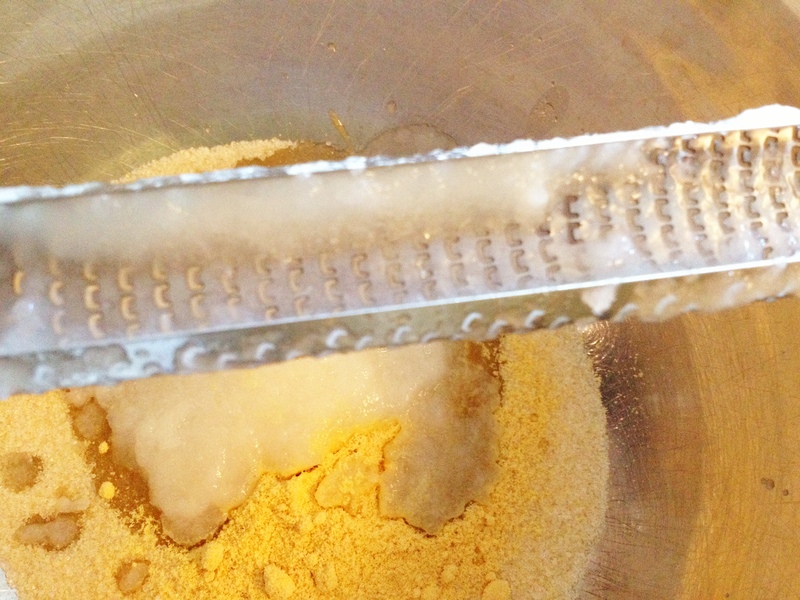 It’s pretty much deactivated yeast and you can find it in the bulk section of a natural food store. This stuff is adored and coveted by veggies and vegans everywhere because it has a nutty/cheesy type of flavour so is often used in cheese substitutes. Nooch, as they call it in the US, is a great source of protein and vitamins-especially B-Complex Vitamins. Its sugar free, dairy free and gluten free and is low in fat as well as low in sodium. Don’t be afraid to use it just because it kinda looks like fish food. It’s actually pretty good. Apparently some people put this on top of their popcorn. I haven’t tried that yet but I am experimenting with it. 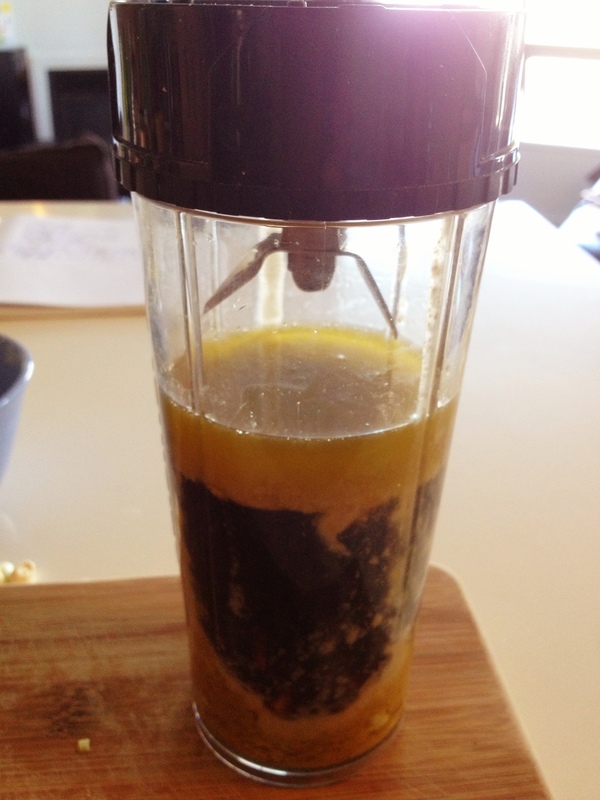 Here’s all the ingredients in the blender and ready to be blitzed! You are now prepared for the week and can enjoy some delightful little salads for dinner or for lunches. Go ahead and make something awesome and get down with your bad self! YOU, my friend…just took on the entire salad dressing industry! Raise your fist in air and know that you are an independent warrior who now makes your own flippin salad dressing! RESPECT!! 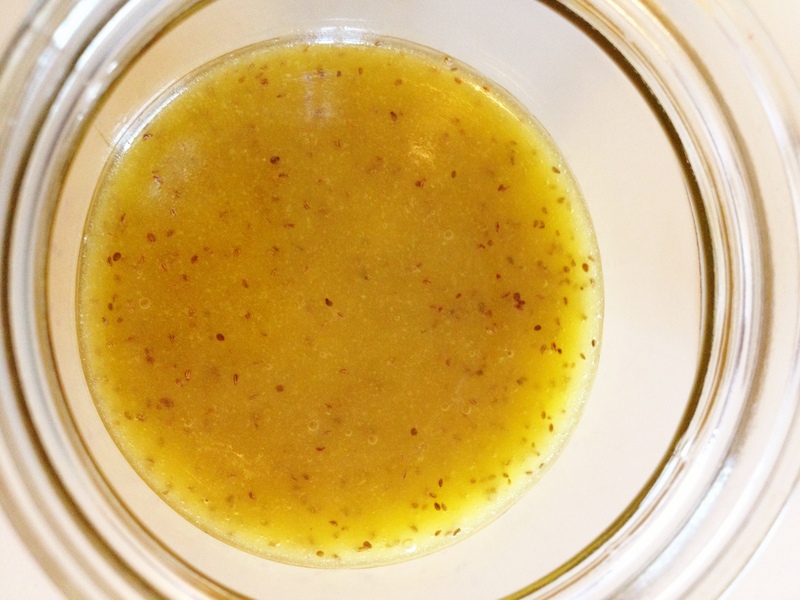 Good idea…I may have to post my maple vinaigrette soon…its that time of year! !